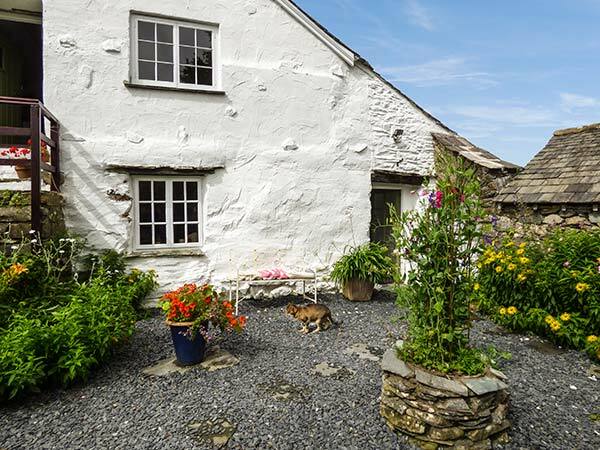 The Shippen is a charming, upside down cottage, attached to the owners' 17th century, traditional Lakeland farmhouse in Rusland, six miles from Hawkshead. On the ground floor, the cottage has one bedroom with a king-size double bed, and a bathroom. There is an open plan living area up on the first floor, with a kitchen, a dining area and a sitting are with a woodburning stove. The courtyard outside is enclosed with furniture and pretty flowers and plants, and there is off road parking for two cars. 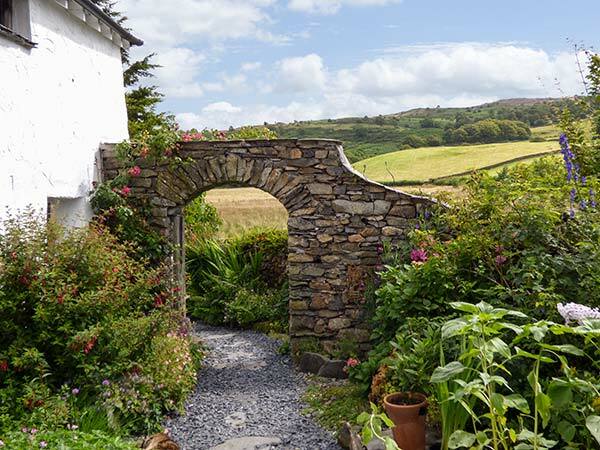 With lots of walking and cycling opportunities nearby, The Shippen is a wonderful, romantic base for couples exploring the Lake District National Park. One ground floor king-size double bedroom. Ground floor bathroom with bath, shower over, basin and WC. First floor open plan living area with kitchen, dining area and sitting area with woodburning stove.